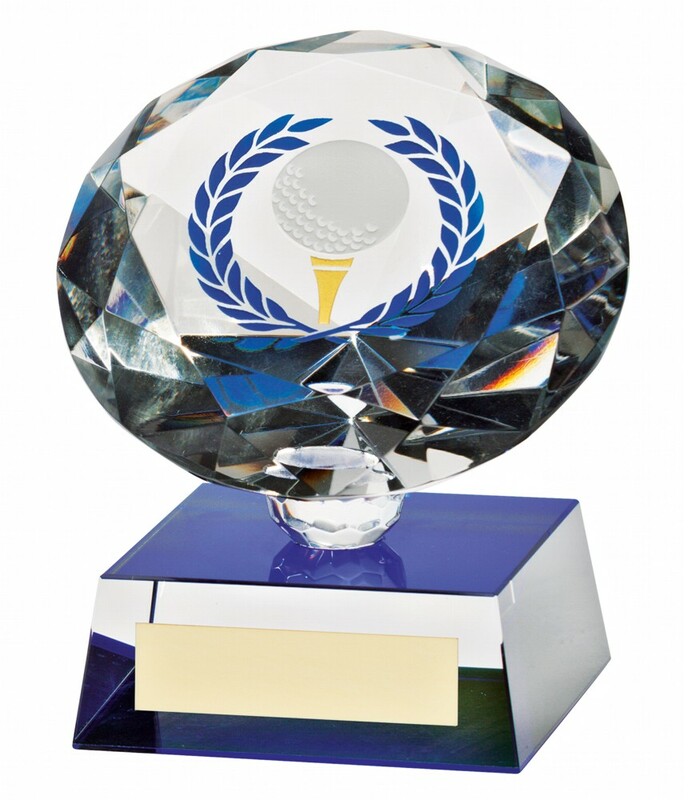 3D Crystal Golf Diamond Awards. Available in 2 sizes, 90mm and 100mm high. 3D Crystal Diamond with a golf ball and tee image on the diamond. Blue, gold and silver detail.